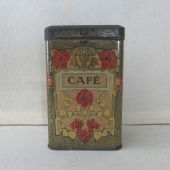 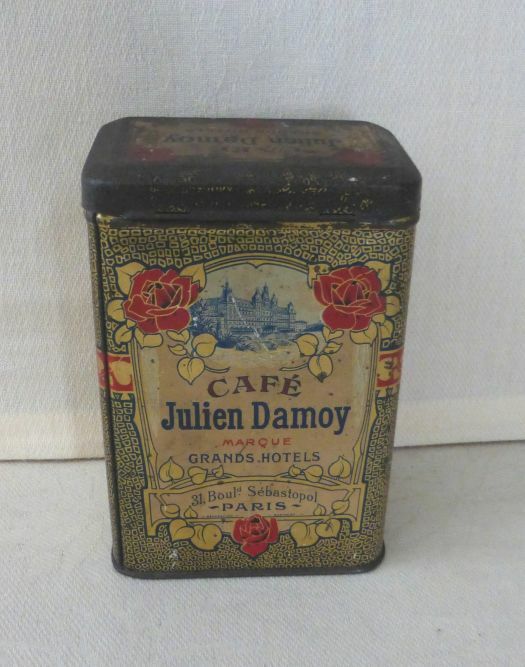 Nice tin box for coffee Julien Damoy. 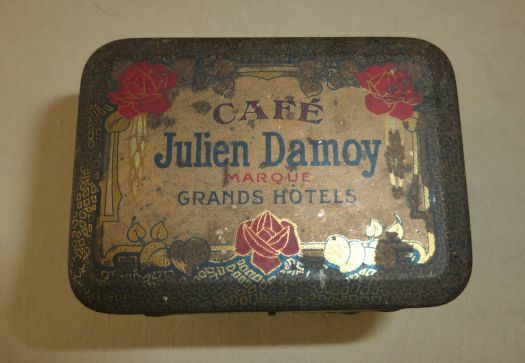 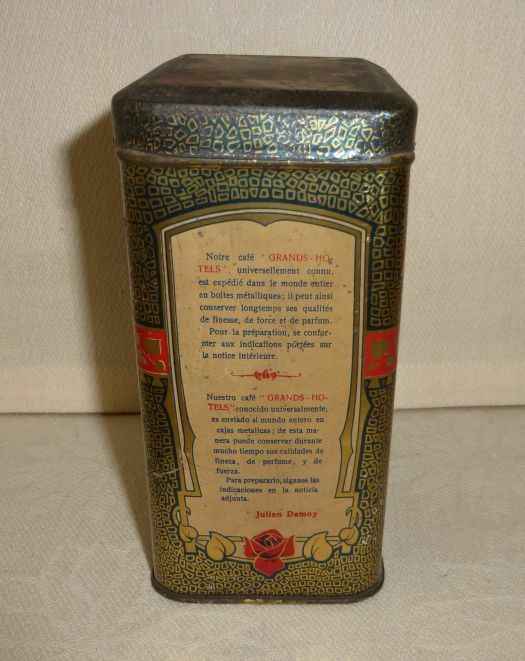 Condition is very OK in spite of the age ; the box is difficult to open but no stain of oxydation on the box, only some rust of the lid. 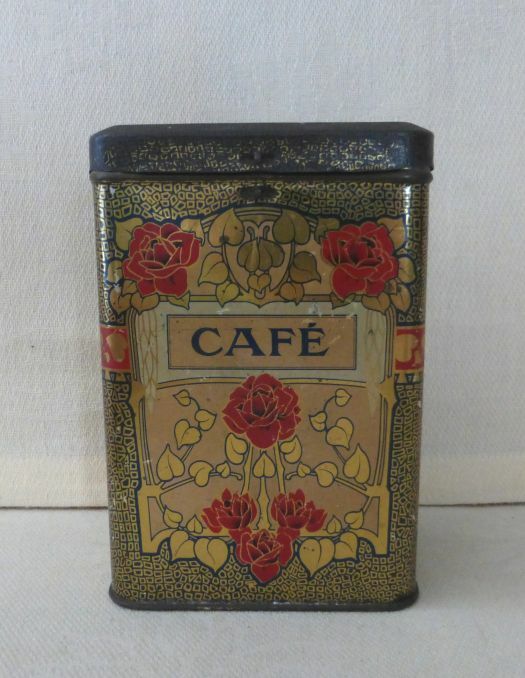 Height 14 cm ; nice piece for collection or decoration.